Kids are so precious. I love how enthusiastic Sam is over the simplest things. Making fruit into bug shapes is “the coolest thing, Mom”. Singing a conversation results in prolonged giggles. Pretending we’re aliens visiting earth while we clean his room makes me “the best Mom in the whole world” (that declaration gets delivered with the best hugs in the whole world!). While so many families are planning vacations over the upcoming spring break, this year we are having a staycation. We’ve had a couple of fun vacations in the past few months so no one is feeling too deprived. Besides, now that our house is newly on the market, we need to stay close to home base. Even so I want to plan some fun activities during break. We’ll probably have a family game night. And family movie night. There’s a nearby museum with a house, barn and artifacts from the 1800’s that we’ll visit. A trip to the park is on our agenda, too. Sam is also hoping to have friends over so one thing we’re doing is planning a couple of playdates. 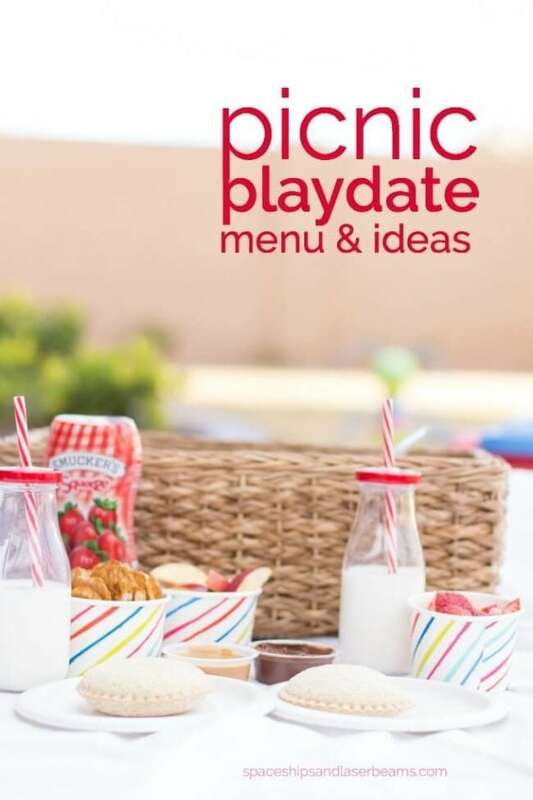 Weather permitting, we’ll try to have a picnic in the backyard. Sam doesn’t mind if there’s snow on the ground, but I do! We need a trip to the store so we’ll have the “necessary” treats. While I was working on my grocery list, I discovered Sam made his own Walmart list for what to get while we’re out shopping—only the necessities, he assured me. 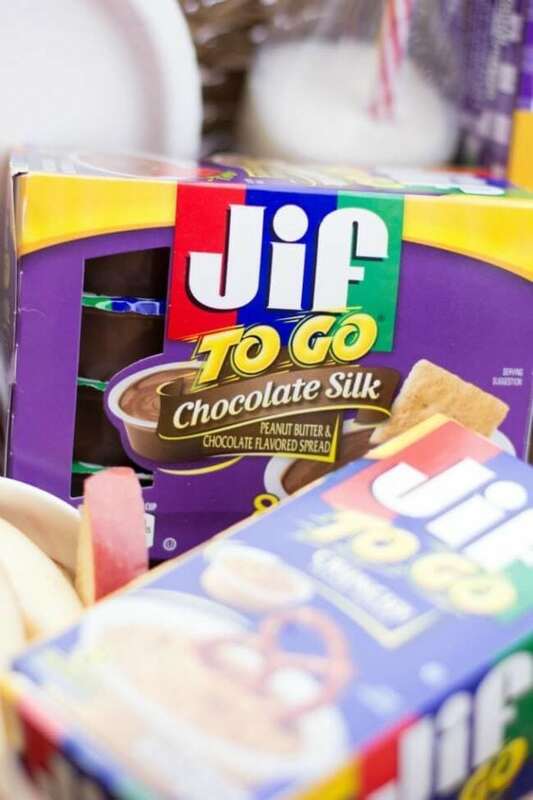 So Sam’s playdates don’t become huge workdates for me, I’m stocking up at Walmart—a great snackation destination for convenient and reasonably priced snacks. 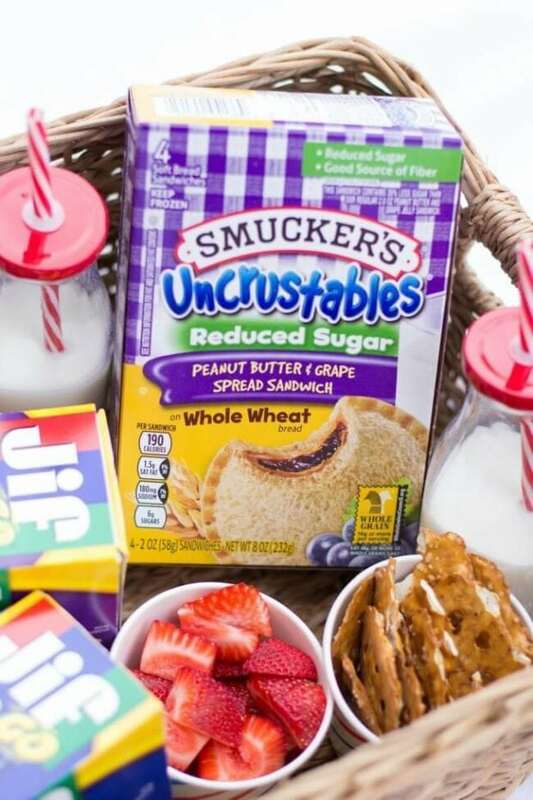 I appreciate having quick food options and lunch doesn’t get any easier than the Smucker’s® Uncrustables® sandwiches. 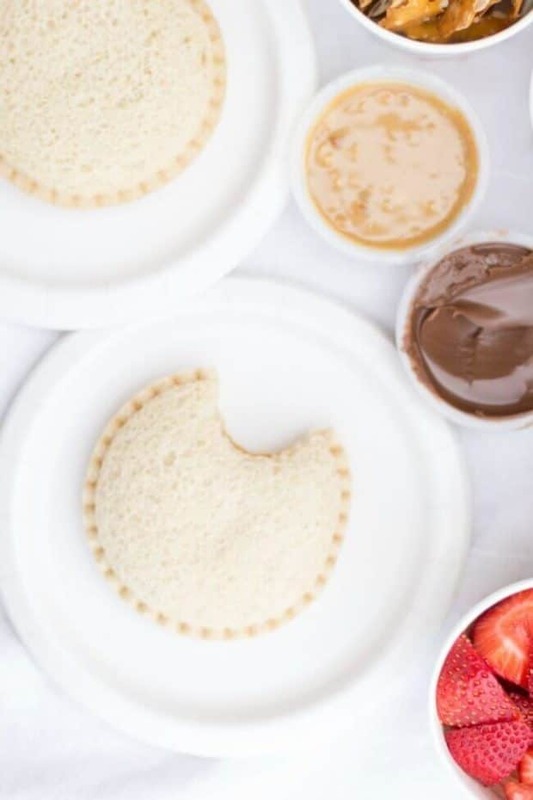 Peanut butter and jelly in a sealed edge bread crust makes putting a picnic together super easy. Sam likes fruit so that’s always on our menu. It’s easy to spiff it up for good times just by popping it into a colorful cup. 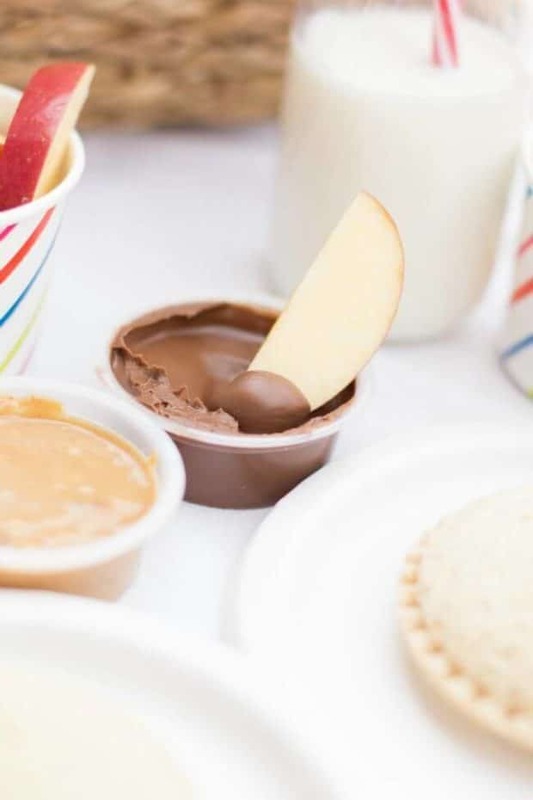 The Smucker’s® Squeeze™ Fruit Spread and Jif® To Go™ Chocolate Silk Peanut Butter Spread are fun and easy additions for a playdate picnic, too. 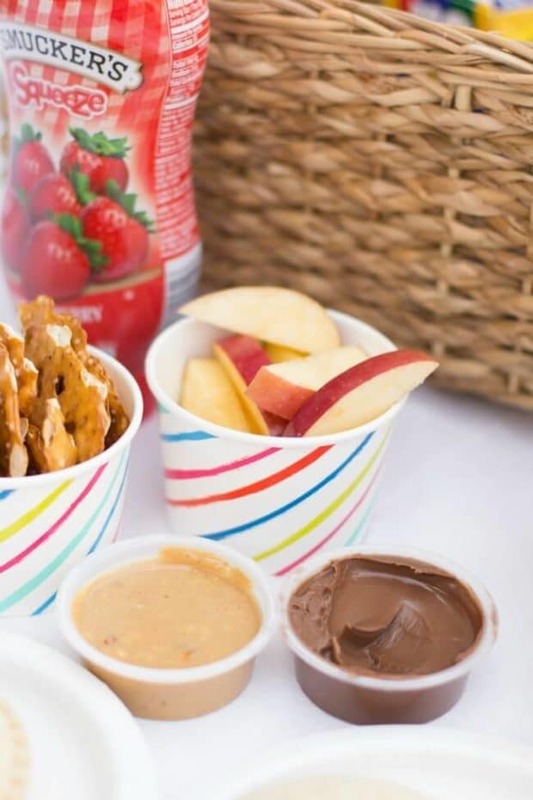 Sam thinks it’s fun to dip fruit and pretzels. He also likes drinking out of straws! 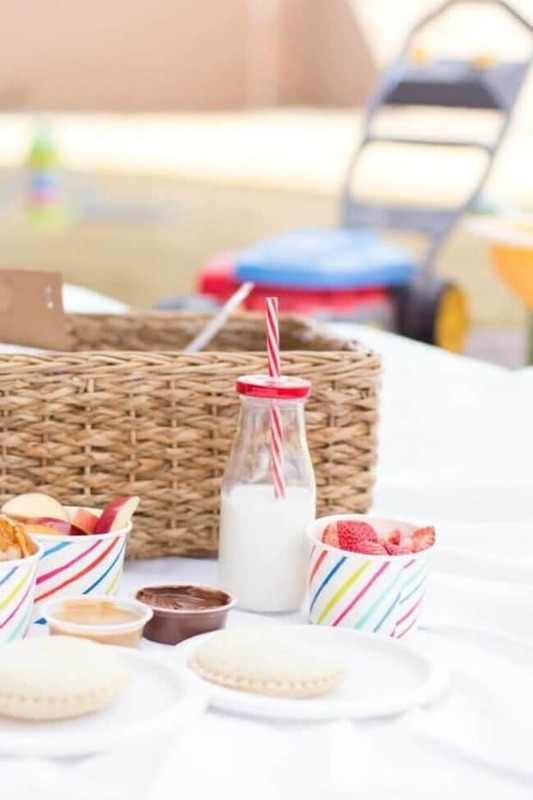 I’m happy simple things—like a picnic with friends—still seem like a big deal to Sam ‘cause making Sam happy is a big deal to me.